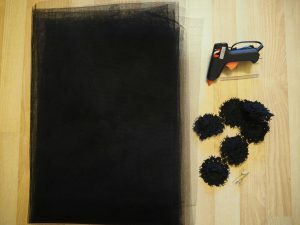 DIY Veil project is something very different from what I usually make for the blog and I am very excited to introduce this new flavor to My Curly Projects. 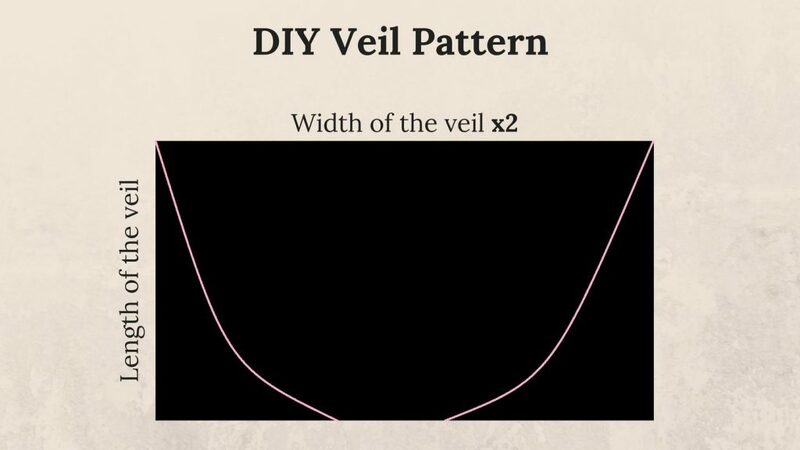 Making a veil is extremely rewarding for few reasons. One – it takes almost no time at all. 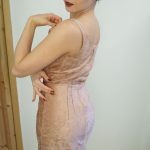 Two – you hardly need any sewing skills (just a sense of aesthetics and attention to details). Three – it’s incredibly versatile project and your creativity will blossom during the designing stage. 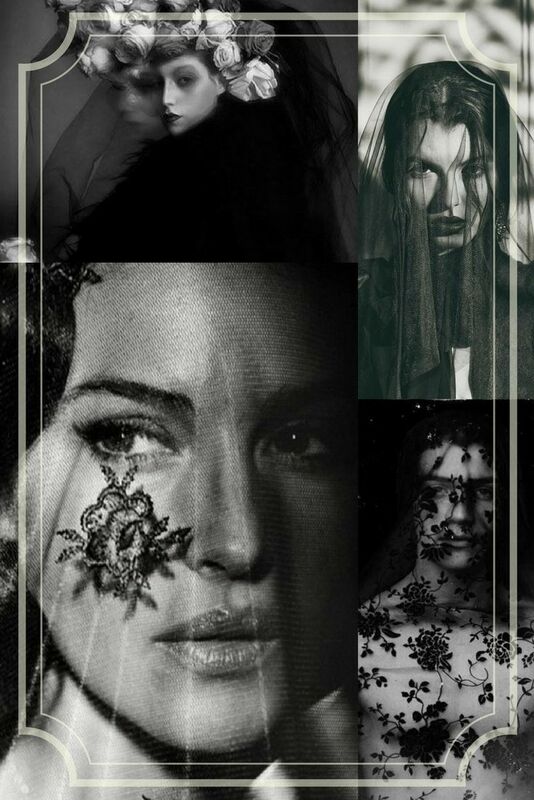 Veils can be made in such variety of materials. You can play around with the thickness of the tulle you use. You can choose to add some details (feathers, flowers, diamonds, pearls, lace) or no details at all. Even the color you choose can completely change the character of your veil! Once I decided to make a voile, the idea really got my creative juices flowing! It’s so easy to customise your veil that it’s hard to stop at just making one. I made three and still don’t have enough! I will show you how to make few variations, but let’s start with the most simple one. Tulle of your choice. For my veil, I chose very soft, flowy type. Lace of your choice. I absolutely loved this chain made of beautiful, lace flowers. Start with measuring your head. Choose a point on either side of your head where you want your hairpins to be and measure the distance between those two points. That’s the final width your veil is going to be. Take that measurement and cut out a piece of lace that is exactly this long. Now, measure the distance between the crown of your head and the point where you want your veil to finish. That will be the length of your veil. Take the width of your veil and multiply this number by two. This will ensure that your veil has some lovely folds, but it won’t be too puffy. Once I drafted the rectangular shape, I decided to fold it in two and round the corners of the bottom half. Play around with this step. 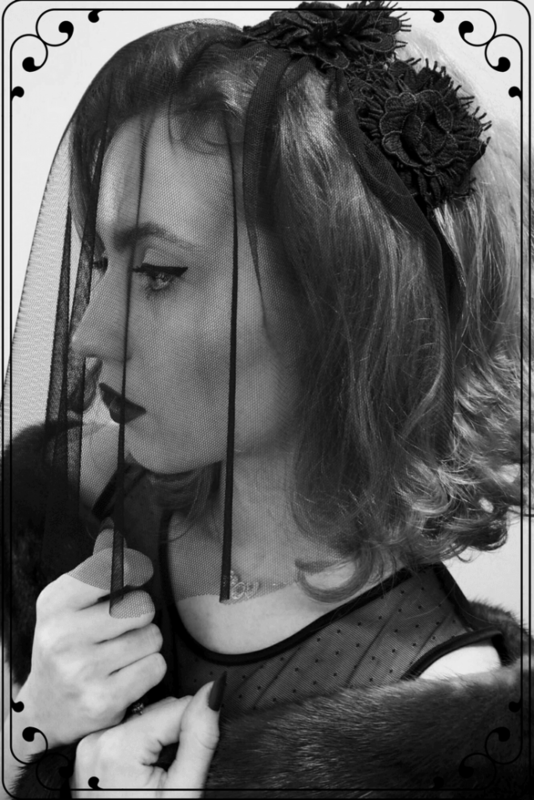 The shape of the veil should be whatever you feel best in. I advise to hold it up to your face a few times after you’ve cut it out and check how it looks like. 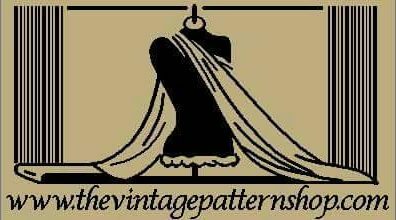 Change your stitch length to the longest possible and run a straight stitch across the top of your veil. Remember not to backstitch at the beginning or end. Take bobbin thread on either end and start gathering your fabric. Gather the fabric to the exact width you wanted your veil to be and tie the ends of your threads. Now, try to distribute the gathers evenly. Take the veil up to your face often to see how you’re doing. You have already cut out the piece of lace that matches the final width of your veil. 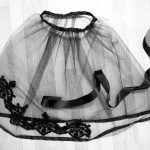 Take the gathered veil and see if the lace matches it in length. 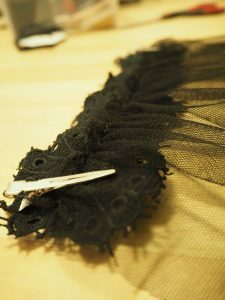 The best way to attach lace to the vail is by hand stitching it in place. However, if you are handy with the glue gun and you know you are able to glue it in place without making a mess, you can do that too. It will probably be much quicker with the hot glue, but it might give you that undesirable “Made in China” look. The only thing left is to take your hot glue gun and stick the hairpins to the sides of your veil. Try not to use too much glue. If you do, it might leak on the sides and look untidy. Your beautiful, romantic veil is ready! Can you believe that it only takes 4 steps to make it? I hope that this tutorial inspired you to make a DIY Veil for yourself!